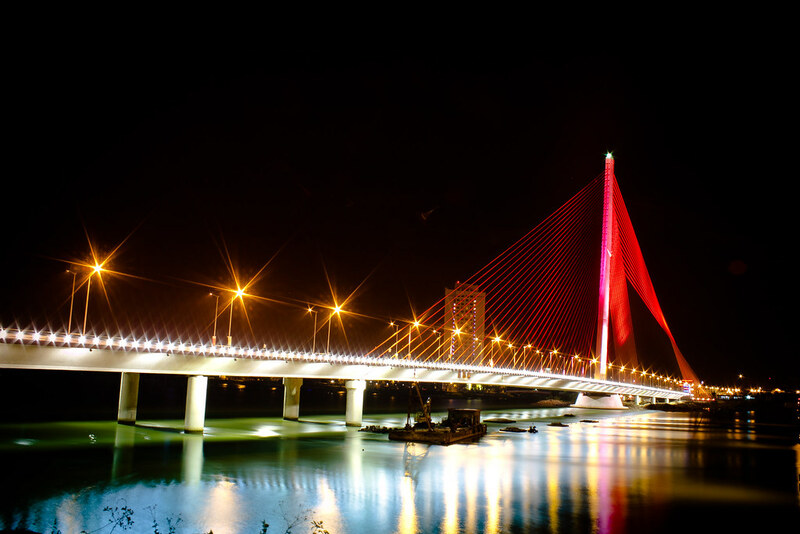 Inaugurated on Danang Liberation Day (29/03/2013), Tran Thi Ly Bridge is a bridge with modern and unique architecture, an ideal place for tourists and residents to visit and take pictures. 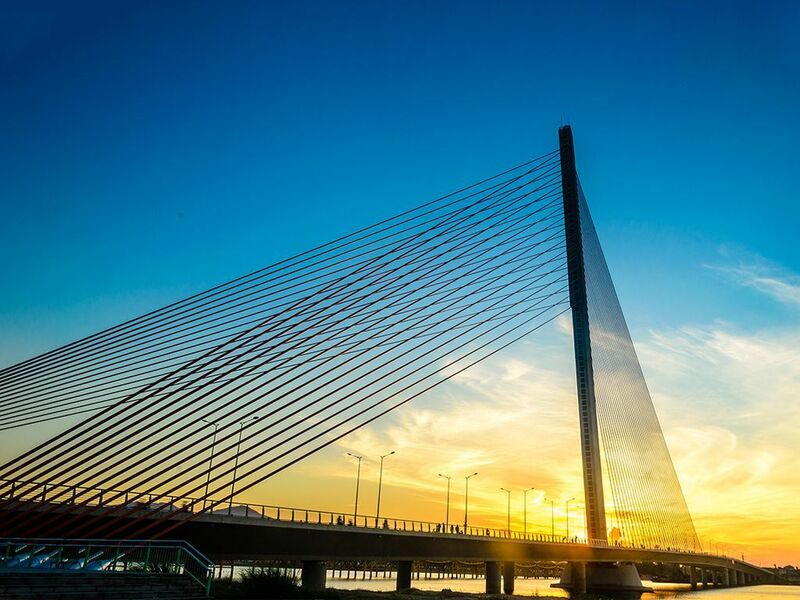 Tran Thi Ly Bridge in Da Nang, Vietnam, ready for use in 2013, has received several international awards for its innovative design. The bridge crosses the Han river in the centre of the city. 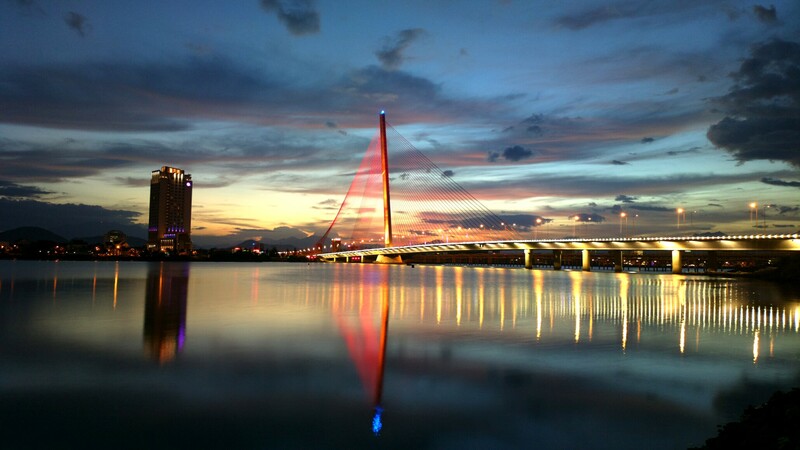 This concrete cable stayed bridge is a new landmark of Da Nang city. The length of the main opening of the bridge is 230 meters, its total length is 731 meters. Its inclined pylons are 145 meters high. Its backward stay cables create a twisted fan. The deck of the bridge is 34,5 meters wide. The newest techniques are applied in the lighting of the bridge. The colours of the pylon and deck of the bridge change at night, creating an interesting detail in the environment of the river. The structure of the bridge is very demanding. The bearings located under the pylon are the largest ever to be used in bridge structures in the entire world. The bridge was ready for use well before the set deadline. The bridge cost 65 MEUR and it was financed by the government and the city. The general contractor of the project was Vietnamese construction company Cienco 1. WSP provided its services in bridge design.